A Collection of New and Original Designs, With Stitches and Lessons for Working. Boston: Priscilla Publishing, 1912, 48 pgs. This is a must-have for crocheters who want to learn how to make Irish crochet lace. 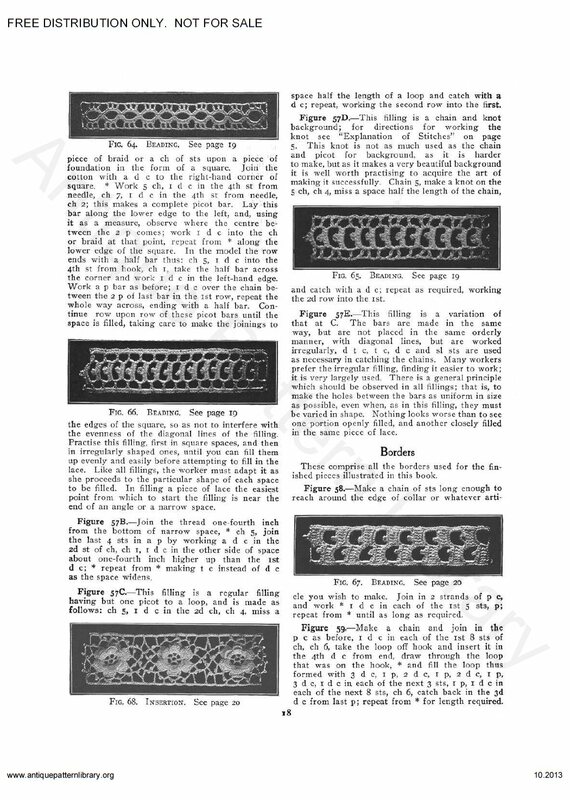 Excellent instructions, patterns for a wide variety of flower, fruit and leaf motifs, a few grounds and edgings, instructions for hats, collars, cuffs, yoke, jabot, opera bag, edgings, doily. Scans donated by Judith Adele, edited by Judith Adele.